The following policies and standards are intended to insure that the SCVAA Football experience is equally enjoyable and beneficial for all participants. These policies are of course intended to accommodate unique and extraordinary circumstances, but should be applied as consistently and completely as possible. Please communicate to the SCVAA Football Commission any observed deviations from these policies and standards during the season. Our league is a ZERO TOLERANCE Sports League and we expect all Coaches and Participants to conduct themselves appropriately. •Team selection/ assignment WILL NOT consider the past performance of a team to intentionally affect the relative skill level of any team. Teams will be assigned primarily upon school affiliation and geography. Team assignment changes must be approved by vote of the SCVAA Football Commission to alleviate any suspected impropriety. •Players should be given a reasonable opportunity to play any position they request for which they qualify under League rules. Note*- Teams with less than 22 players will have a duplicate player on both squads, but must be assigned to a different position. ◦All players must be assigned an offensive and a defensive position on one of the squads. Note* - Where a team has more than 22 players each players must be assigned as a ‘starter’ on at least one squad and no player may be assigned as a ‘starter’ on more than 2 squads. Likewise a team with less than 22 players will require more duplication. ◦Players with ‘unexcused’ absences from practice may be left off the Squad list but should be considered as back-ups and should play some during the game. This will be managed equally among players of all skill levels. Parent concerns regarding this will be addressed to the SCVAA Football Commission. •All Players will play on Offense AND Defense. •Game Captains should be determined for each week and each player who regularly attends practices should be given the opportunity to serve as a Game Captain at least once during the season. •Players and parents need to understand the importance of consistently attending practices. Team cohesiveness and their reliance on each other necessitate a dependence that doesn’t manifest itself as completely in many other sports. Players with ‘unexcused’ absences from practices will not play as much in games as others. Players with repeated ‘excused’ absences will not play as much as others. •Coaches are allowed on the field, but once the Offensive line is set, the on-field coach will be silent until the whistle blows to end the play. Vocal coaches should choose to remain on the sidelines where no such restrictions apply. •All coaches, players and parents will be instructed by each Head Coach to refrain from visible or vocal condemnation of Game Officials performance. Those that cannot control this will not participate or be allowed as spectators. All instances and concerns must instead be addressed to the SCVAA Football Commission. •All players participating in any contact drills during games or scrimmages (where officials are not present), must wear all required protective equipment. Coaches are responsible for ensuring that mouth-guards are worn during practices too. •NO "Team Fees" or additions to League Standard uniforms will be allowed. Do not adorn helmets or solicit any organized addition or alteration of the standard VAA Uniform (Any exceptions must be approved by the VAA Commissioner in advance). •Copies of these policies will be given to each Head Coach and MUST be distributed to the Parent/Guardian of each player. As defined in the SCVAA Youth Football Charter, the purpose of the football program is to provide the youth of the St. Croix Valley with an opportunity to participate in the program while learning the fundamentals of football and developing their principles of good sportsmanship and teamwork while having fun. SCVAA Football will continue to accept Late Registrations until the start of the regular season according to the following rules. Players registering after July 31 st will be placed on a team based upon team capacities and needs. The first priority will be to place the player on the team in his registration area or a team he played with in a previous year if space is available and other teams are not short players, but this will be done at the discretion of the football commission. The SCVAA Football Commission approves the coaches and assistant coaches. Problems relating to unacceptable behavior of participants will be processed through the Football Commission for any and all disciplinary determinations. (see below) The SCVAA reserves the right to limit the number of players per team, and assign players and coaches to each team. The SCVAA has permission to verify the grade of the participant with School District #834. The SCVAA and I.S.D. #834 are not responsible for accidents or injuries. The only means of assuring your child plays with another specific child is that parents of both children agree to Co-Coach a team. The names of all Co-Coaches must appear on all registration forms. We will try to honor up to three Co-Coaches per team. Regular season games will be played at various fields. Please see the “Locations” webpage to view locations and directions. Each team’s Head Coach will determine the location for practices in cooperation with the Football Board. 1. Players and coaches can be suspended for action’s detrimental to the participants and program. Players can also be suspended for parent(s) actions. 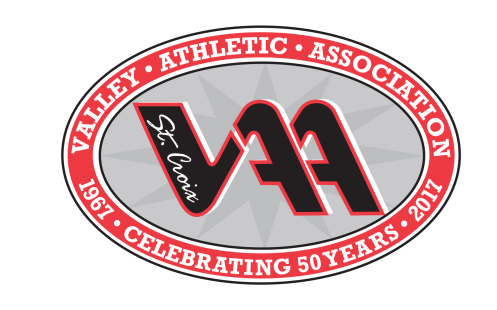 4.The Executive Board of the St. Croix Valley Athletic Association will review all disciplinary procedures/actions of an individual commission when notified in addition the individual commission will proceed with it’s disciplinary action. 5.All parties involved have the right to appeal the decision of the individual commission or Executive Board within 30 days upon receipt of a letter from the St. Croix Valley Athletic Association. 6.The appeal must be in writing and directed to the President of the St. Croix Valley Athletic Association or the Commissioner of the individual commission involved. Any concerns regarding the interpretation of application of these policies should be directed to your teams Head Coach or to the SCVAA Football Commission via phone or e-mail. The SCVAA reserves the right to interpret any policies as they see fit to ensure the safety and fun of the youth participating. Deviations from stated policies and or guidelines may occur at the discretion of the SCVAA Football Commission.